JUST REDUCED $20,000. LOCATION ! Just across the street from the Santa Rosa Sound and community dock with boat slips. There are Sound views on every floor! This Beach Home has New Floors, Fresh New Paint, New Furniture/Appliances, and comes fully furnished and is move in ready with room to sleep 10 or more! This gorgeous Caribbean style home of 4 bed/2.5 bath comes with a huge first floor deck and magnificent views of the Santa Rosa sound, perfect for entertaining or relaxing. First floor has spacious kitchen and breakfast nook, formal dining area, fireplace, and 9 FT ceilings, crown molding, and another balcony facing north. 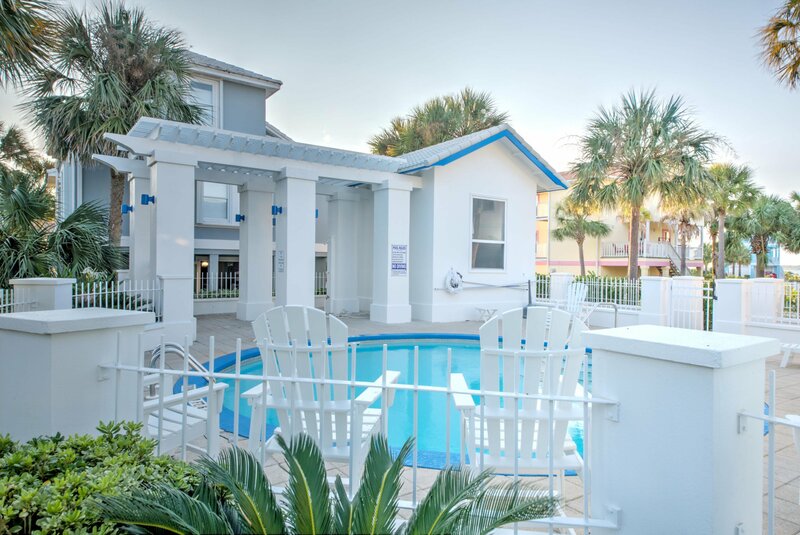 Second floor has 3 bedrooms, Master comes equipped with crown molding and a large balcony. Master Bath has large closet, garden tub & separate shower. Click more Third floor offers a fourth bedroom, game room or office, use your imagination! The ground floor features an over-sized Garage with extra storage space/carport and a covered patio. 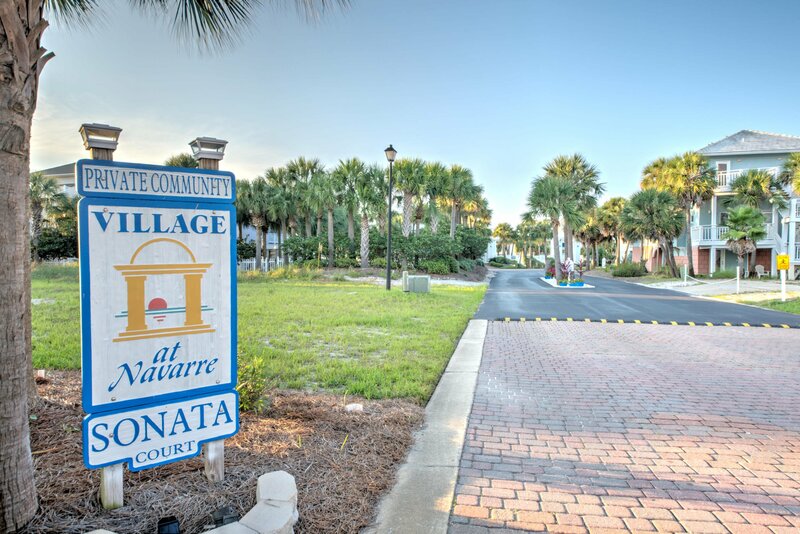 Village at Navarre features a community pool, private beach, dock, and access to the Santa Rosa Sound. 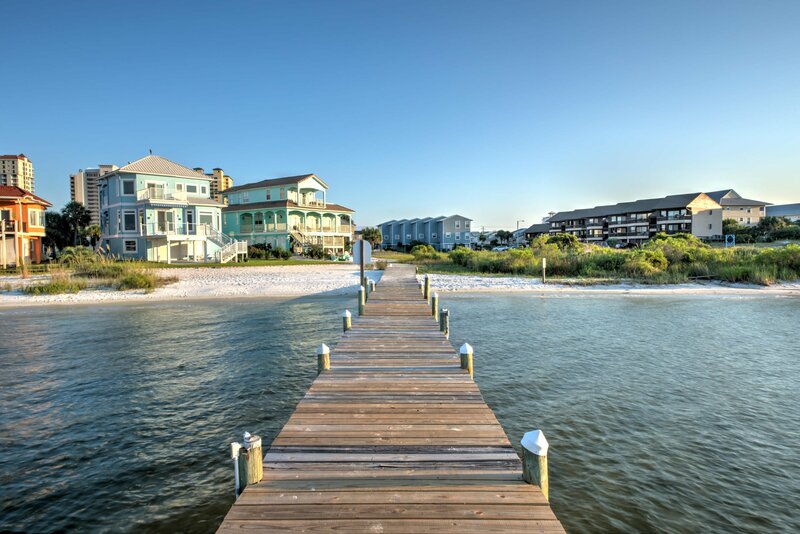 Public beach access to the Gulf of Mexico's pristine emerald waters is just a short distance away! Navarre Beach is one of the last beaches with the old Florida feel and includes the largest fishing pier in Florida, miles of walking and biking trails and most importantly, miles of white sandy beaches for the maximum levels of relaxation and fun in the sun.